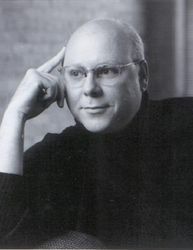 Richard Jones is an American poet. He was born in London, England, received his B.A. and M.A. from the University of Virginia and an M.F.A. from Vermont College of Fine Arts. He is the author of eight books of poetry, most recently Stranger on Earth (Copper Canyon Press, 2018), as well as a number of limited edition volumes. His first book, Country of Air, won the Posner Award in 1986. The Blessing: New and Selected Poems, a selection of poems from six of his books, received the Midland Authors Award for Poetry for 2000. He is also the editor of the critical anthology Poetry and Politics (William Morrow and Company, 1985). In 2000, he published a compact disc, Body and Soul, in which he discusses the art of poetry. In 2011, he published Thunder on the Mountain (East of Eden Press), a nonfiction book that explores the relationship between poetry and painting. He is editor of the literary journal Poetry East and its many anthologies, including The Last Believer in Words and Bliss. He is currently professor of English at DePaul University in Chicago, where he has taught since 1987. He lives north of Chicago with his wife and three children. Analysis, meaning and summary of Richard Jones's poem What Do You Do About Dry Periods In Your Writing? Do you have any comments, criticism, paraphrasis or analysis of this poem that you feel would assist other visitors in understanding the meaning or the theme of this poem by Richard Jones better? If accepted, your analysis will be added to this page of American Poems. Together we can build a wealth of information, but it will take some discipline and determination. Poem: What Do You Do About Dry Periods In Your Writing? American Poems - Analysis, Themes, Meaning and Literary Devices > Poets > Richard Jones > What Do You Do About Dry Periods In Your Writing?